20th Century Fox has released the official Breakthrough trailer and poster for their upcoming drama based on the true story by Joyce Smith, The Impossible: The Miraculous Story of a Mother’s Faith and Her Child’s Resurrection, and starring Golden Globe nominee Chrissy Metz (This Is Us). Check out the trailer below as well as the poster and first look image in the gallery! 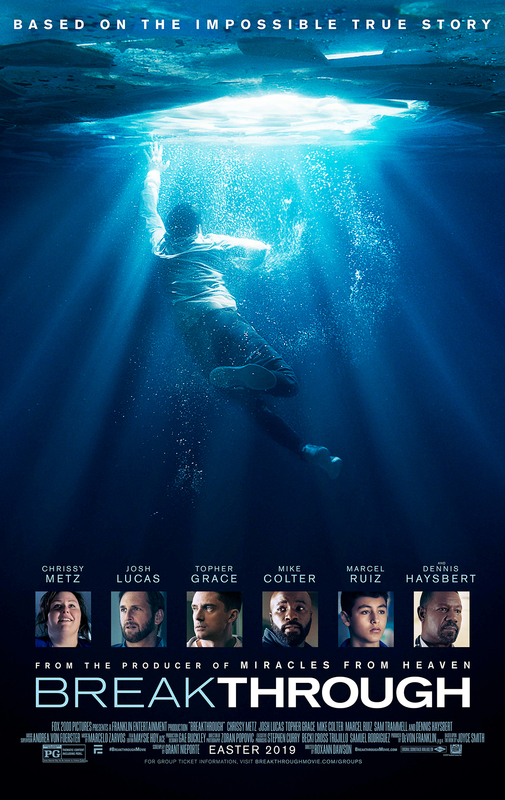 From producer DeVon Franklin (Miracles from Heaven) and adapted for the screen by Grant Nieporte (Seven Pounds) and director Roxann Dawson (The Americans, The Chi) from Joyce Smith’s own book, Breakthrough is an enthralling reminder that faith and love can create a mountain of hope, and sometimes even a miracle. The movie also stars Josh Lucas (Ford v. Ferrari), Topher Grace (BlacKkKlansman), Mike Colter (Marvel’s Luke Cage), Marcel Ruiz (One Day at a Time), Sam Trammell (This Is Us), and Dennis Haysbert (Reverie). Breakthrough will arrive in theaters on Easter 2019.